Djordjevic, I., Ryan, W. E., & Vasic, B. (2010). Coding for optical channels . Springer. Siegel, P. H., Soljanin, E., Van Wijngaarden, A. J., & Vasic, B. (2008). Advances in information recording . American Mathematical Society. Kurtas, E., & Vasic, B. (2005). Advanced error control techniques for data storage systems . CRC Press. Vasic, B., & Kurtas, E. (2004). Coding and signal processing for magnetic recording systems . CRC Press. Vasic, B., Nguyen, D. V., & Chilappagari, S. K. (2014). Chapter 6 - Failures and Error Floors of Iterative Decoders. In Academic Press Library in Mobile and Wireless Communications (pp 299 - 341). Academic Press. Anguita, J., Neifeld, M., & Vasic, B. (2009). Multi-beam free-space optical link using space-time coding. In Principles of Waveform Diversity and Design . Scitech Publishing. Radhakrishnan, R., Vasic, B., Erden, F., & He, C. (2008). Characterization of heat-assisted magnetic recording. In Advances in Information Recording (pp 23--40). American Mathematical Society. Denic, S., & Vasic, B. (2005). Spectrum shaping codes. In Advanced Error Control Techniques for Data Storage Systems . CRC Press. Vasic, B., & Milenkovic, O. (2005). Coding and detection for multi-track systems. In Advanced Error Control Techniques for Data Storage Systems (p. 10). CRC Press. Vasic, B., Kurtas, E., Kuznetsov, A., & Milenkovic, O. (2005). Well-structured LDPC codes. In Advanced Error Control Techniques for Data Storage Systems (p. 14). CRC Press. Denic, S., & Vasic, B. (2004). Spectrum shaping codes. In Coding and Signal Processing for Magnetic Recording Systems . CRC Press. Sankaranarayanan, S., & Vasic, B. (2004). An introduction to message passing algorithms. In Coding and Signal Processing for Magnetic Recording Systems . CRC Press. Vasic, B. (2004). Physics and organization of data on a disk. In CRC Handbook on Computer Engineering in Coding and Signal Processing for Magnetic Recording Systems . CRC Press. Vasic, B. (2004). Read channel for hard drives. In CRC Handbook on Computer Engineering in Coding and Signal Processing for Magnetic Recording Systems . CRC Press. Vasic, B., & Milenkovic, O. (2004). Coding and detection for multi-track systems. In Coding and Signal Processing for Magnetic Recording Systems . CRC Press. Vasic, B., & Milenkovic, O. (2004). Preface to coding and signal processing for magnetic recording systems. In Coding and Signal Processing for Magnetic Recording Systems . CRC Press. Vasic, B., Kurtas, E., Kuznetsov, A., & Milenkovic, O. (2004). Well-structured LDPC codes. In Coding and Signal Processing for Magnetic Recording Systems . CRC Press. Vasic, B., Kurtas, E., & Kuznetsov, A. (2002). Low density parity check codes. In Encyclopedia of Telecommunications . Boston: Wiley. Vasic, B. (2001). Read channel for magnetic recording. In CRC Handbook on Computer Engineering (p. 34). CRC Press. Vasic, B., & Despotovic, M. (2001). Recording physics and organization of data on a disk. In CRC Handbook on Computer Engineering (pp 34.2--34.9). CRC Press. Vasic, B., Aziz, P., & Sayiner, N. (2001). Read channel architecture. In CRC Handbook on Computer Engineering (pp 34.10--34.18). CRC Press. Brkic, S., Ivanis, P., & Vasic, B. V. (2017). Majority Logic Decoding underData-Dependent Logic Gate Failures. IEEE Transactions Information Theory , 63(10), 6295-6306. Dupraz, E., Declercq, D., & Vasic, B. V. (2017). Asymptotic Error Probability of the Gallager BDecoder under Timing Errors. IEEE Commun. Letters , 24(4), 698-701. Le, K., Ghaffari, F., Declercq, D. G., & Vasic, B. V. (2017). Efficient Hardware Implementation of ProbabilisticGradient Descent Bit-Flipping. IEEE Transactions on Circuits and Systems , 64(4), 906-917. Matcha, C. K., Roy, S., Bahrami, M., Vasic, B. V., & Srinivasa, S. G. (2017). 2D LDPC Codes and Joint Detection and Decodingfor Two-Dimensional Magnetic Recording. IEEE Transactions on Magnetics . Barry, J. R., Vasic, B. V., Khatami, M., Bahrami, M., Nakamura, Y., Okamoto, Y., & Kanai, Y. (2016). Optimization of Bit Geometry and Multi-Reader Geometry for Two-Dimensional Magnetic Recording. IEEE Transactions on Magnetics , 52(2), 1-7. Le, K., Ghaffari, F., Declercq, D., & Vasic, B. V. (2016). Efficient Hardware Implementation of Probabilistic Gradient Descent Bit-Flipping (in press). IEEE Transactions on Circuits and Systems I .
Vasic, B. V., & Ivanis, P. (2016). Error Errore Eicitur: A Stochastic Resonance Paradigm for Reliable Storage of Information on Unreliable Media. IEEE Transactions on Communication , 64(9), 3596-3608. Bahrami, M., Matcha, C. K., Kahtami, M., Roy, S., Srinivasa, S. G., & Vasic, B. V. (2015). Investigation into Harmful Patterns over Multi-Track Shingled Magnetic Detection Using the Voronoi Model. IEEE Trans. Magnetics , 51(12), 1-7. Brike, S., Rasheed, O. A., Ivanis, P., & Vasic, B. V. (2015). On Fault-Tolerance of the Gallager B Decoder under Data-Dependent Gate Failures. IEEE Commun. Letters , 1299-1302. Brkic, S., Chilappagari, S. K., Ivanis, P., & Vasic, B. (2015). Reliable Memories Built of Unreliable Components: Majority-Logic Decoding and Analysis of Data-Dependent Logic Gate Failures (submitted). IEEE Transactions on Communications , 1-30. Dupraz, E., Declercq, D., Vasic, B., & Savin, V. (2015). Analysis and Design of Finite Alphabet Iterative Decoders Robust to Faulty Hardware. IEEE Transactions on Communications , 63(8), 2797-2809. Pan, L., Marcellin, M. W., Ryan, W. E., & Vasic, B. V. (2015). Viterbi Detection for Compressively Sampled FHSS-GFSK Signals. IEEE Transactions on Signal Processing , PP(99), 1-27. Pan, L., Marcellin, M. W., Ryan, W. E., & Vasic, B. V. (2015). Viterbi detection for compressive sampled FHSS-GFSK signals. Signal Processing, IEEE Transactions on , 63(22), 5965-5975. Alfowzan, M., Anguita, J., Khatami, M., & Vasic, B. (2014). Detection Strategies for the Optical Orbital Angular Momentum Channel (submitted). IEEE Trans. Comm. , 1-10. Cai, F., Zhang, X., Declercq, D., Vasic, B., & Planjery, S. K. (2014). Finite Alphabet Iterative Decoders for LDPC Codes: Optimization, Architecture and Analysis. IEEE Transactions on Circuits and Systems - Part I: Regular Papers , 61(5), 1366-1375. Dolecek, L., Blaum, M., Bruck, J., Jiang, A., Ramchandran, K., & Vasic, B. (2014). Guest Editorial Communication Methodologies for the Next-Generation Storage Systems. IEEE Journal on Selected Areas in Communications , 32(5), 825-828. Krishnan, A. R., & Vasic, B. (2014). Lozenge Tiling Constrained Codes. Facta Universitatis, Series: Electronics and Energetics , 27(4), 521--542. Nguyen, D. V., & Vasic, B. (2014). Two-Bit Bit Flipping Algorithms for LDPC Codes and Collective Error Correction. IEEE Trans. Comm. , 62(4), 1153-1163. Rasheed, O., Ivanis, P., & Vasic, B. (2014). Fault-Tolerant Probabilistic Gradient-Descent Bit Flipping Decoders. IEEE Commun. Letters , 18(9), 1487 -- 1490. Danjean, L., Vasic, B., Marcellin, M. K., & Declercq, D. (2013). Interval-Passing Algorithm for Chemical Mixture Estimation. IEEE Signal Process. Lett. , 20, 849--852. Declercq, D., Vasic, B., Planjery, S. K., & Li, E. (2013). Finite Alphabet Iterative Decoders, Part II: Improved Guaranteed Error Correction of LDPC Codes via Iterative Decoder Diversity. IEEE Trans. Commun. , 61(10), 4046--4057. Khatami, M., & Vasic, B. (2013). Generalized Belief Propagation Detector for TDMR Microcell Model. IEEE Trans. Mag. , 47(7), 3699--3702. Khatami, S. M., & Vasic, B. (2013). Detection for Two-Dimensional Magnetic Recording Systems. J. Commun. , 8(4), 233--239. Planjery, S. K., Declercq, D., Danjean, L., & Vasic, B. (2013). Finite Alphabet Iterative Decoders, Part I: Decoding Beyond Belief Propagation on the Binary Symmetric Channel. IEEE Trans. Commun. , 61(10), 4033--4045. Vasic, B., & Vasic, B. (2013). Simplification Resilient LDPC-Coded Sparse-QIM Watermarking for 3D-Meshes. IEEE Trans. Multimedia , 15(7), 1532-1542. Djordjevic, I. B., Anguita, J., & Vasic, B. (2012). Error-Correction Coded Orbital-Angular-Momentum Modulation for FSO Channels Affected by Turbulence. IEEE/OSA J. Lightw. Technol. , 30(17), 2846--2852. Nguyen, D. V., Chilappagari, S. K., Vasic, B., & Marcellin, M. W. (2012). On the construction of structured LDPC codes free of small trapping sets. IEEE Trans. Inf. Theory , 58(4), 2280--2302. Ravanmehr, V., Danjean, L., Vasic, B., & Declercq, D. (2012). Interval-Passing Algorithm for Non-Negative Measurement Matrices: Performance and Reconstruction Analysis. IEEE J. Emerging and Sel. Topics in Circuits and Syst. , 2(3), 424--432. Vasic, B., Ravanmehr, V., & Krishnan, A. R. (2012). An Information Theoretic Approach to Constructing Robust Boolean Gene Regulatory Networks. IEEE/ACM Trans. Comput. Biol. and Bioinform. , 9(1), 52--65. Chilappagari, S. K., Chertkov, M., & Vasic, B. (2011). An Efficient Instanton Search Algorithm for LP Decoding of LDPC Codes Over the BSC. IEEE Trans. Inf. Theory , 57(7), 4417--4426. Denic, S. Z., Vasic, B., Charalambous, C. D., Chen, J., & Wang, J. M. (2011). Information Theoretic Modeling and Analysis for Global Interconnects With Process Variations. IEEE Trans. Very Large Scale Integr. (VLSI) Syst. , 19(3), 397--410. Krishnan, A. R., Sweeney, M., Vasic, J., Galbraith, D., & Vasic, B. (2011). Barcodes for DNA sequencing with guaranteed error correction capability. Electron. Lett. , 47(4), 236--237. Pan, L., Ryan, W. E., Wood, R., & Vasic, B. V. (2011). Coding and Detection for Rectangular-Grain TDMR Models. IEEE Trans. Magn. , 47(6), 1705--1711. Planjery, S. K., Declercq, D., Danjean, L., & Vasic, B. (2011). Finite alphabet iterative decoders for LDPC codes surpassing floating-point iterative decoders. Electron. Lett. , 47(16), 919--921. Planjery, S. K., Declercq, D., Danjean, L., & Vasic, B. (2011). Finite alphabet iterative decoders for LDPC codes surpassing floating-point iterative decoders. Electronics Letters , 47(16), 919 -921. Vasic, B. V., & Dyball, H. (2011). Interview. Electron. Lett. , 47(4), 226. Anguita, J. A., Neifeld, M. A., Hildner, B., & Vasic, B. (2010). Rateless coding on experimental temporally correlated FSO channels. J. Lightw. Technol. , 28(7), 990--1002. Chilappagari, S. K., Nguyen, D. V., Vasic, B., & Marcellin, M. W. (2010). Error correction capability of column-weight-three LDPC codes under the Gallager A algorithm - Part II. IEEE Trans. Inf. Theory , 56(6), 2626--2639. Chilappagari, S. K., Nguyen, D. V., Vasic, B., & Marcellin, M. W. (2010). On Trapping Sets and Guaranteed Error Correction Capability of LDPC codes and GLDPC Codes. IEEE Trans. Inf. Theory , 56(4), 1600--1611. Sann, C. K., Radhakrishnan, R., Eason, K., Elidrissi, R., Miles, J. M., Vasic, B., & Krishnan, A. R. (2010). Channel models and detectors for two-dimensional magnetic recording (TDMR). IEEE Trans. Magn. , 46(3), 804--811. Chilappagari, S. K., & Vasic, B. (2009). Error-Correction Capability of Column-Weight-Three LDPC Codes. IEEE Trans. Inf. Theory , 55(5), 2055--2061. Chilappagari, S. K., Chertkov, M., Stepanov, M., & Vasic, B. (2009). Instanton-based techniques for analysis and reduction of error floors of LDPC codes. IEEE J. Sel. Areas Commun. , 27(6), 855--865. Denic, S. Z., Vasic, B., Charalambous, C. D., & Palanivelu, R. (2009). Robust control of uncertain context-sensitive probabilistic Boolean networks. IET Syst. Biol. , 3(4), 279--295. Krishnan, A. R., Radhakrishnan, R., & Vasic, B. (2009). Read Channel Modeling for Detection in Two-Dimensional Magnetic Recording Systems. IEEE Trans. Magn. , 45(10), 3679--3682. Krishnan, A., Radhakrishnan, R., Vasic, B., Kavcic, A., Ryan, W., & Erden, F. (2009). 2-D magnetic recording: Read channel modeling and detection. IEEE Trans. Magn. , 45(10), 3830--3836. Qin, Y., Leydon, A. R., Manziello, A., Pandey, R., Mount, D., Denic, S., Vasic, B., & Johnson, R. (2009). Penetration of the Stigma and Style Elicits a Novel Transcriptome in Pollen Tubes, Pointing to Genes Critical for Growth in a Pistil. PLoS Genetics , 5(8), e1000621. Qin, Y., Leydon, A. R., Manziello, A., Pandey, R., Mount, D., Denic, S., Vasic, B., Johnson, M. A., & Palanivelu, R. (2009). Penetration of the Stigma and Style Elicits a Novel Transcriptome in Pollen Tubes Pointing to Genes Critical for Growth in a Pistil. PLoS Genet , 5(8), e1000621. Qin, Y., Qin, Y., Leydon, A. R., Leydon, A. R., Manziello, A., Manziello, A., Pandey, R., Pandey, R., Mount, D., Mount, D., Denic, S., Denic, S., Vasic, R., Vasic, B., Qin, Y., Johnson, M. A., Leydon, A. R., Palanivelu, R., Manziello, A., , Pandey, R., et al. (2009). Penetration of the Stigma and Style Elicits a Novel Transcriptome in Pollen Tubes, Pointing to Genes Critical for Growth in a Pistil. PLoS Genet , 5(8), e1000621. Anguita, J. A., Neifeld, M. A., & Vasic, B. (2008). Turbulence-induced channel crosstalk in an orbital angular momentum-multiplexed free-space optical link. Applied Optics , 47(13), 2414--2429. Denic, S. Z., Djordjevic, I., Anguita, J., Vasic, B., & Neifeld, M. A. (2008). Information theoretic limits for free-space optical channels with and without memory. J. Lightw. Technol. , 26(19), 3376--3384. Djordjevic, I. B., & Vasic, B. (2008). LDPC-coded OFDM in fiber-optics communication systems [Invited]. J. Optical Netw. , 7(3), 217--226. Djordjevic, I. B., Denic, S., Anguita, J., Vasic, B., & Neifeld, M. A. (2008). LDPC-coded MIMO optical communication over the atmospheric turbulence channel. J. Lightw. Technol. , 26(5), 478--487. Ivkovic, M., Chilappagari, S. K., & Vasic, B. (2008). Eliminating Trapping Sets in Low-Density Parity-Check Codes by Using Tanner Graph Covers. IEEE Trans. Inf. Theory , 54(8), 3763--3768. Anguita, J., Neifeld, M., & Vasic, B. (2007). Spatial correlation and irradiance statistics in a multiple-beam terrestrial free-space optical communication link. Appl. Optics , 46(26), 6561--6571. Batshon, H. G., Djordjevic, I. B., & Vasic, B. V. (2007). An improved technique for suppression of intrachannel four-wave mixing in 40-Gb/s optical transmission systems. IEEE Photonics Technol. Lett. , 19(2), 67--69. Djordjevic, I. B., Vasic, B., & Neifeld, M. A. (2007). LDPC-coded OFDM for optical communication systems with direct detection. IEEE J. Sel. Topics. Quantum Electron. , 13(5), 1446--1454. Djordjevic, I. B., Vasic, B., & Neifeld, M. A. (2007). LDPC-coded OFDM over the atmospheric turbulence channel. Optics Express , 15(10), 6336--6350. Ivkovic, M., Djordjevic, I., & Vasic, B. (2007). Calculation of achievable information rates of long-haul optical transmission systems using instanton approach. IEEE/OSA J. Lightw. Technol. , 25(5), 1163--1168. Ivkovic, M., Djordjevic, I., Rajkovic, P. M., & Vasic, B. (2007). Pulse energy probability density functions for long-haul optical fiber transmission systems by using instantons and edgeworth expansion. IEEE Photonics Technol. Lett. , 19(20), 1604--1606. Pu, L., Marcellin, M. W., Djordjevic, I., Vasic, B., & Bilgin, A. (2007). Joint Source-Channel Rate Allocation in Parallel Channels. IEEE Trans. Image Process. , 16(8), 2016 -2022. Pu, L., Marcellin, M. W., Vasic, B., & Bilgin, A. (2007). Unequal error protection and progressive decoding for JPEG2000. Signal Process. : Image Commun. , 22(3), 340--346. Pu, L., Wu, Z., Bilgin, A., Marcellin, M. W., & Vasic, B. (2007). LDPC-Based Iterative Joint Source-Channel Decoding for JPEG2000. IEEE Trans. Image Process. , 16(2), 577--581. Radhakrishnan, R., Erden, M. F., He, C., & Vasic, B. (2007). Transition response characteristics of heat-assisted magnetic recording and their performance with MTR codes. IEEE Trans. Magn. , 43(6), 2298--2300. Vasic, B., & Chilappagari, S. K. (2007). An information theoretical framework for analysis and design of nanoscale fault-tolerant memories based on low-density parity-check codes. IEEE Trans. Circuits Syst. I, Reg. Papers , 54(11), 2438--2446. Djordjevic, I. B., & Vasic, B. (2006). 100-Gb/s transmission using orthogonal frequency-division multiplexing. IEEE Photonics Technol. Lett. , 18(15), 1576--1578. Djordjevic, I. B., & Vasic, B. (2006). Multilevel coding in M-ary DPSK/Differential QAM high-speed optical transmission with direct detection. J. Lightw. Technol. , 24, 420--428. Djordjevic, I. B., & Vasic, B. (2006). Noise-predictive BCJR equalization for suppression of intrachannel nonlinearities. IEEE Photonics Technol. Lett. , 18(12), 1317--1319. Djordjevic, I. B., & Vasic, B. (2006). Nonlinear BCJR equalizer for suppression of intrachannel nonlinearities in 40 Gb/s optical communications systems. Optics Express , 14(11), 4625--4635. Djordjevic, I. B., Chilappagari, S. K., & Vasic, B. (2006). Suppression of intrachannel nonlinear effects using pseudoternary constrained codes. J. Lightw. Technol. , 24(2), 769--774. Djordjevic, I. B., Geharty, D., Kostuk, R., & Vasic, B. (2006). Demonstration of spectral-amplitude encoding/decoding for multimedia optical CDMA applications. J. Optical Commun. , 27, 121--124. Djordjevic, I. B., Sankaranarayanan, S., Chilappagari, S. K., & Vasic, B. (2006). Low-density parity-check codes for 40-Gb/s optical transmission systems. IEEE J. Sel. Topics in Quantum Electron. , 12(4), 555--562. Djordjevic, I. B., Vasic, B., & Neifeld, M. A. (2006). Multilevel coding in free-space optical MIMO transmission with Q-ary PPM over the atmospheric turbulence channel. IEEE Photonics Technol. Lett. , 18(14), 1491--1493. Djordjevic, I. B., Vasic, B., & Rao, V. S. (2006). Rate 2/3 modulation code for suppression of intrachannel nonlinear effects in high-speed optical transmission. IEE Proc. Optoelectron. , 153(2), 87--92. Djordjevic, I., & Vasic, B. (2006). Constrained coding techniques for the suppression of intrachannel nonlinear effects in high-speed optical transmission. J. Lightw. Technol. , 24(1), 411--419. Anguita, J. A., Djordjevic, I. B., Neifeld, M. A., & Vasic, B. V. (2005). OSA J. Optical Networks , 4, 586--601. Anguita, J., Djordjevic, I., Neifeld, M., & Vasic, B. (2005). High-rate error-correction codes for the optical atmospheric channel. Djordjevic, I. B., & Vasic, B. (2005). Iteratively decodable codes from orthogonal arrays for optical communication systems. IEEE Commun. Lett. , 9(10), 924--926. Djordjevic, I. B., & Vasic, B. (2005). Nonbinary LDPC codes for optical communication systems. IEEE Photonics Technol. Lett. , 17(10), 2224--2226. Djordjevic, I. B., Milenkovic, O., & Vasic, B. (2005). Generalized low-density parity-check codes for optical communication systems. J. Lightw. Technol. , 23(5), 1939--1946. Djordjevic, I. B., Vasic, B., Ivkovic, M., & Gabitov, I. (2005). Achievable information rates for high-speed long-haul optical transmission. J. Lightw. Technol. , 23(11), 3755--3763. Kostuk, R. K., Maeda, W., Chen, C. H., Djordjevic, I., & Vasic, B. (2005). Cascaded holographic polymer reflection grating filters for optical-code-division multiple-access applications. Appl. Optics , 44(35), 7581--7586. Sankaranarayanan, S., & Vasic, B. (2005). Iterative decoding of linear block codes: A parity-check orthogonalization approach. IEEE Trans. Inf. Theory , 51(9), 3347--3353. Sankaranarayanan, S., Djordjevic, I. B., & Vasic, B. (2005). Iteratively decodable codes on m flats for WDM high-speed long-haul transmission. J. Lightw. Technol. , 23(11), 3696--3701. Stepanov, M. G., Chernyak, V., Chertkov, M., & Vasic, B. (2005). Diagnosis of weaknesses in modern error correction codes: A physics approach. Physical Review Lett. , 95(22), 228701--228704. Chernyak, V., Chertkov, M., Stepanov, M. G., & Vasic, B. (2004). Error correction on a tree: an instanton approach. Physics Review Lett. , 93(19), 1--4. Djordjevic, I. B., & Vasic, B. (2004). An advanced direct detection receiver model. J. Optical Commun. , 25(1). Djordjevic, I. B., & Vasic, B. (2004). Combinatorial constructions of optical orthogonal codes for OCDMA systems. IEEE Commun. Lett. , 8(6), 391--393. Djordjevic, I. B., & Vasic, B. (2004). High code rate low-density parity-check codes for optical communication systems. IEEE Photonics Technol. Lett. , 16(6), 1600--1602. Djordjevic, I. B., & Vasic, B. (2004). MacNeish-Mann theorem based iteratively decodable codes for optical communication systems. IEEE Commun. Lett. , 8(8), 538--540. Djordjevic, I. B., & Vasic, B. (2004). Performance of affine geometry low-density parity-check codes in long-haul optical communications. European Trans. on Telecommun. , 15, 477--483. Djordjevic, I. B., Sankaranarayanan, S., & Vasic, B. (2004). Irregular low-density parity-check codes for long-haul optical communications. IEEE Photonics Technol. Lett. , 16(1), 338--340. Djordjevic, I. B., Sankaranarayanan, S., & Vasic, B. V. (2004). Projective-plane iteratively decodable block codes for WDM high-speed long-haul transmission systems. J. Lightw. Technol. , 22(3), 695--702. Djordjevic, I. B., Vasic, B., & Rorison, J. (2004). Multi-weight unipolar codes for multimedia spectral-amplitude-coding optical CDMA systems. IEEE Commun. Lett. , 8(4), 259--261. Milenkovic, O., Djordjevic, I. B., & Vasic, B. (2004). Block-circulant low-density parity-check codes for optical communication systems. IEEE J. Sel. Topics. Quantum Electron. , 10(2), 294--299. Vasic, B., & Milenkovic, O. (2004). Combinatorial constructions of low-density parity-check codes for iterative decoding. IEEE Trans. Inf. Theory , 50(6), 1156--1176. Vasic, B., & Pedagani, K. (2004). Run-length-limited low-density parity-check codes based on deliberate error insertion. IEEE Trans. Magn. , 40(3), 1738--1743. Vasic, B., & Venkateswaran, V. (2004). Soft-error-event decoding for multitrack magnetic recording channels. IEEE Trans. Magn. , 40(2), 492--497. Vasic, B., Park, J., & Kurtas, E. M. (2004). Soft-decision decoding of Reed-Muller codes with applications to partial response channels. IEEE Trans. Magn. , 40(4), 3120--3122. Vasic, B., Pedagani, K., & Ivkovic, M. (2004). High-rate girth-eight low-density parity-check codes on rectangular integer lattices. IEEE Trans. Commun. , 52(8), 1248--1252. Vasic, B., Rao, V. S., Djordjevic, I. B., Kostuk, R. K., & Gabitov, I. (2004). Ghost-pulse reduction in 40-Gb/s systems using line coding. IEEE Photonics Technol. Lett. , 16(7), 1784--1786. Djordjevic, I. B., & Vasic, B. (2003). LDPC codes for long haul optical communications based on high-girth designs. J. Optical Commun. , 24(3), 94--96. Djordjevic, I. B., & Vasic, B. (2003). Novel combinatorial constructions of optical orthogonal codes for incoherent optical CDMA systems. J. Lightw. Technol. , 21(9), 1869--1875. Djordjevic, I. B., & Vasic, B. (2003). On decision statistics of direct detection receiver in optically amplified communication systems. Int. J. Modell. and Simul. , 23(3), 153--157. Djordjevic, I. B., & Vasic, B. (2003). Projective geometry LDPC codes for ultralong-haul WDM high-speed transmission. IEEE Photonics Technol. Lett. , 15(5), 784--786. Djordjevic, I. B., & Vasic, B. (2003). Receiver modeling for optically amplified communication systems. Int. J. Electron. Commun. , 57(6), 381--390. Djordjevic, I. B., & Vasic, B. (2003). Unipolar codes for spectral-amplitude-coding optical CDMA systems based on projective geometries. IEEE Photonics Technol. Lett. , 15(9), 1318--1320. Djordjevic, I. B., Geharty, D., Kostuk, R., & Vasic, B. (2003). Spectral-amplitude-coding optical CDMA systems based on Steiner systems. J. Optical Commun. , 24(3), 90--93. Djordjevic, I. B., Vasic, B., & Rorison, J. (2003). Design of multiweight unipolar codes for multimedia optical CDMA applications based on pairwise balanced designs. J. Lightw. Technol. , 21(9), 1850--1856. Peric, Z. H., & Vasic, B. (2003). Optimal uniform polar quantization of complex variables with circularly symmetric densities. Inform. Technol. and Control , 1(26), 43--46. Peric, Z., & Vasic, B. (2003). Optimal number of phase divisions in polar quantization. Advances in Electrical and Comput. Eng. , 1(1), 5--11. Sankaranarayanan, S., Kurtas, E., & Vasic, B. (2003). Performance of low-density generator matrix codes on perpendicular recording channels. Joint NAPMRC 2003. Digest of Technical Papers [Perpendicular Magnetic Recording Conference 2003] , 44. Sankaranarayanan, S., Vasic, B., & Kurtas, E. M. (2003). Irregular low-density parity-check codes: construction and performance on perpendicular magnetic recording channels. IEEE Trans. Magn. , 39(5), 2567--2569. Vasic, B., & Djordjevic, I. B. (2003). Affine geometry low-density parity check codes in long haul optical communications. J. Optical Commun. , 24(2), 50--53. Vasic, B., Djordjevic, I. B., & Kostuk, R. K. (2003). Low-density parity check codes and iterative decoding for long-haul optical communication systems. J. Lightw. Technol. , 21(2), 438--446. Djordjevic, I. B., & Vasic, B. (2002). Impact of Multipath interference on Raman amplifiers based system performance. J. Optical Commun. , 23(5), 162--164. Vasic, B., & Djordjevic, I. B. (2002). Iteratively decodable block codes for long-haul optical transmission systems. J. Optical Commun. , 23(5), 182--186. Vasic, B., & Djordjevic, I. B. (2002). Low-density parity check codes for long-haul optical communication systems. IEEE Photonics Technol. Lett. , 14(8), 1208--1210. Vasic, B., Kurtas, E. M., & Kuznetsov, A. V. (2002). Kirkman systems and their application in perpendicular magnetic recording. IEEE Trans. Magn. , 38(4), 1705--1710. Vasic, B., Kurtas, E. M., & Kuznetsov, A. V. (2002). LDPC codes based on mutually orthogonal Latin rectangles and their application in perpendicular magnetic recording. IEEE Trans. Magn. , 38(5), 2346--2348. Vasic, B. (2001). Error event correcting codes for partial response channels. Telecomm. , 4, 4--9. Vasic, B., Djordjevic, G., & Tosic, M. (2001). Loose composite constraint codes and their application in DVD. IEEE J. Sel. Areas Commun. , 19(4), 765--773. Denic, S. Z., Stefanovic, M. C., & Vasic, B. (2000). M-ary RLL DC-free codes for optical recording channels. Electron. Lett. , 36(14), 1214--1216. Milenkovic, O., & Vasic, B. (2000). Permutation (d,k) codes: efficient enumerative coding and phrase length distribution shaping. IEEE Trans. Inf. Theory , 46(7), 2671--2675. Vasic, B., Djordjevic, G., & Tosic, M. (2000). EFM++: An efficient coding format for DVD. Facta Universitatis, Electronics and Energetic Series , 13(3), 263--296. Mclaughlin, S. W., Lee, P., Cloke, R., & Vasic, B. V. (1999). One-pairs codes for partial response magnetic recording. IEEE Trans. Magn. , 35(3), 2080--2086. Vasic, B. V. (1998). Spectral analysis of maximum entropy multitrack modulation codes. IEEE Trans. Inf. Theory , 44(4), 1574--1587. Vasic, B. V., Mclaughlin, S. W., & Milenkovic, O. (1998). Shannon capacity of M-ary redundant multitrack runlength limited codes. IEEE Trans. Inf. Theory , 44(2), 766--774. Vasic, B., Milenkovic, O., & McLaughlin, S. (1997). Power spectral density of multitrack (O,G/I) codes. Electron. Lett. , 33(9), 784--786. Vasic, B. (1996). Capacity of channels with redundant multitrack (d,k) constraints: the k < d case. IEEE Trans. Inf. Theory , 42(5), 1546--1548. Vasic, B., Milenkovic, O., & Mclaughlin, S. (1996). Scrambling for nonequiprobable signalling. Electron. Lett. , 32(17), 1551--1552. Stefanovic, M. C., & Vasic, B. V. (1993). Channel capacity of (O, G/I) codes. Electron. Lett. , 29(2), 243--245. Vasic, B. V., Stefanovic, M. C., Vasic, D. D., & Peric, Z. H. (1993). Prefix synchronised RLL sequences: variable-length graph model. Electron. Lett. , 29(16), 1420--1421. Stefanovic, M. C., & Vasic, B. V. (1992). Spectra of maxentropic CCRLL sequences: Markov chain model and efficient algorithm for the calculation. Electron. Lett. , 28(13), 1235--1237. Stefanovic, M., Vasic, B., Nikolic, Z., & Draca, D. (1992). A simple derivation of maxentropic run-length-limited code spectrum. Facta Universitatis , 5(1). Vasic, B. V. (1992). Spectra of maxentropic interleaved RLL sequences. Electron. Lett. , 28(7), 661--662. Stojanovic, N., & Vasic, B. V. (1991). Ancillary channel of optical fiber communication systems based on 1B2B code redundancy. Electron. Lett. , 27(16), 1457--1459. Vasic, B., & Stefanovic, M. (1991). Calculation of the line code power spectral density by means of digital filter assigned to the encode. Telecomm , 3, 21--27. Vasic, B., & Stefanovic, M. (1991). Spectral analysis of coded digital signals by means of difference equation systems. Electron. Lett. , 27(24), 2272 -2273. Vasic, B., & Stefanovic, M. (1990). Bit error rate control based on the mean value of the line signal coded by the RLL code. J. University of Nis, Part: Math. and Electron. , 22(3--4), 30--37. Vasic, B., & Stefanovic, M. (1990). The dependence of the power spectral density of the coded digital signal on the variation of the data symbols occurrence probability. J. University of Nis, Part: Mathematics and Electronics , 22(1), 21--30. Bahrami, M., Attia, M. A., Tandon, R., & Vasic, B. V. (2017, October). Towards the Exact Rate-Memory Trade-off for Uncoded Caching with Secure Delivery. In 55th Annual Allerton Conference on Communication, Control, and Computing . Brkic, S., Ivanis, P., & Vasic, B. V. (2017, November). Hard-Decision Decoding of LDPC Codes Under Timing Errors: Overview and New Results. In 25th Telecommunications Forum Telfor (TELFOR) , 1-6. Dupraz, E., Vasic, B. V., & Declercq, D. (2017, May). Performance of Taylor-Kuznetsov Memories Under Timing Errors. In IEEE Int. Conf. Comm ICC 2017 . Ghaffari, F., Akoglu, A., & Vasic, B. V. (2017, August). Multi-mode Low-latency Software-defined Error Correction for Data Centers (Invited Paper). In 26-th International Conf. Comp. Comm. Networks (ICCCN 2017) . Ghaffari, F., Akoglu, A., & Vasic, B. V. (2017, August). Multi-mode Low-latency Software-defined Error Correction for Data Centers. In 26-th International Conf. Comp. Comm. Networks (ICCCN 2017) . Ghaffari, F., Unal, B., Akoglu, A., Le, K., Declercq, D., & Vasic, B. V. (2017, December 1-5). Efficient FPGA Implementation of Probabilistic Gallager B LDPC Decoder. In 24th IEEE Intl. Conf. on Electronics, Circuits and Systems (ICECS) . Le, K., Ghaffari, F., Vasic, B. V., Declercq, D., & Winstead, C. (2017, October). A Novel High-Throughput, Low-Complexity Bit-Flipping Decoder for LDPC Codes. In International Conference on Advanced Technologies for Communications (ATC) . Planjery, S., Declercq, D., Reynwar, B., & Vasic, B. V. (2017, August). High-Throughput Low-Power Finite Alphabet Iterative Decoders. In Flash Memory Summit 2017 , 1-5. Raveendra, N., Nadkarni, P., Srinivasa, S., & Vasic, B. V. (2017, May). Stochastic Resonance Decoding for Quantum LDPC Codes. In IEEE Int. Conf. Comm. ICC 2017 . Unal, B., Ghaffari, F., Akoglu, A., Vasic, B. V., Unal, B., Ghaffari, F., Akoglu, A., & Vasic, B. V. (2017, May). Analysis and Implementation of Resource Efficient Probabilistic LDPC Decoder: Trade-offs Between the Decoding Performance and Hardware Performance. In IEEE International Symposium on Circuits and Systems (ISCAS) . Brkic, S., Ivanis, P., Vasic, B. V., & Declercq, D. (2016, Feb. 1-6). Message-Aggregation Enhanced Iterative Hard-Decision Decoders. In Information Theory and Applications Workshop (ITA 2016), San Diego, CA , 1-10. Brkic, S., Ivanis, P., Vasic, B. V., & Declercq, D. (2016, July 10-15). Guaranteed Error Correction of Faulty Bit-Flipping Decoders under Data-Dependent Gate Failures. In Proc. IEEE Int. Symp. Inf. Theory ISIT 2016; Barcelona Spain , 1-5. Ivanis, P., Vasic, B. V., & Declercq, D. (2016, July 10-15). Performance Evaluation of Faulty Iterative Decoders using Absorbing Markov Chains. In Proc. IEEE Int. Symp. Inf. Theory ISIT 2016; Barcelona Spain , 1-5. Matcha, C. K., Bahrami, M., Roy, S., Srinivasa, G., & Vasic, B. V. (2016, July 10-15). Generalized Belief Propagation Based TDMR Detector and Decoder. In IEEE Int. Symp. Inf. Theory (ISIT 2016), Barcelona, Spain , 1-5. Vasic, B. V., Ivanis, P., & Declercq, D. (2016, Feb. 1-6). Approaching Maximum Likelihood Performance of LDPC Codes by Stochastic Resonance in Noisy Iterative Decoders. In Information Theory and Applications Workshop (ITA 2016), San Diego, CA , 1-10. Declercq, D., LeTrung, K., & Vasic, B. V. (2015, Sept. 1-2). Hardware Implementation of Probabilistic Gradient Descent Bit Flipping Algorithm. In i-RISC Workshop: When Boole Meets Shannon, Cork, Ireland , 1. Diouf, M., Declercq, D., & Vasic, B. (2015, Sept.). Conception de Codes LDPC avec l'Algorithme RandPEG Evitant les Trapping Sets Dominants. In XXVe Colloque GRETSI - Traitement du Signal et des Images, Lyon, France , 8-11. Diouf, M., Declercq, D., & Vasic, B. V. (2015, June). A PEG-like LDPC code design avoiding short Trapping Sets. In IEEE Int. Symp. Inf. Theory (ISIT 2015), Hong Kong , 1079-1083. Dupraz, E., Declercq, D., & Vasic, B. V. (2015, Feb. 1-6). Analysis of Taylor-Kuznetsov Memory using One-Step Majority Logic Decoder. In Information Theory and Applications Workshop (ITA 2015), San Diego, CA , 46-53. Dupraz, E., Declercq, D., & Vasic, B. V. (2015, Sept. 1-2). Reliable LDPC Encoding on Faulty Hardware. In i-RISC Workshop: When Boole Meets Shannon, Cork, Ireland , 1. Dupraz, E., Declercq, D., & Vasic, B. V. (2015, Sept.). Stabilit des Memoires de Taylor-Kuznetsov construites partir dun Dcodeur LDPC de type Gallager B. In XXVe Colloque GRETSI - Traitement du Signal et des Images, Lyon, France , 8-11. Dupraz, E., Declercq, D., Ouya, S., & Vasic, B. V. (2015, Sept.). Stabilité des Méemoires de Taylor-Kuznetsov construites à partir d’un Décodeur LDPC de type Gallager B. In XXVe Colloque GRETSI - Traitement du Signal et des Images , 1079-1083. Ivanis, P., Ras, O., & Vasic, B. (2015, Jun. 8--12). MUDRI: A fault-tolerant decoding algorithm (submitted). In Proc. IEEE Int. Comm. Conf. (ICC 2015) , 1-6. Kahtami, M., Bahrami, M., & Vasic, B. (2015, Dec. 6-10). Information Rates of Constrained TDMR Channels Using Generalized Belief Propagation. In IEEE Global Telecommun. Conf. (GLOBECOM 2015), San Diego, CA , 1-6. Kahtami, S., Bahrami, M., & Vasic, B. (2015, June 14-19). Symmetric information rate estimation and bit aspect ratio optimization for TDMR using generalized belief propagation. In IEEE Int. Symp. Inf. Theory (ISIT 2015), Hong Kong , 1620-1624. Le, K., Declercq, D., Spagnol, C., Ivanis, P., & Vasic, B. (2015, May 24 -- 27). Efficient Realization Of Probabilistic Gradient Descent Bit Flipping Decoders (submitted). In Proc. 21-st IEEE International Conference on Electronics Circuits and Systems (ISCAS 2015); Lisbon Portugal , 1494-1497. Planjery, S., Declercq, D., Reynwar, B. J., & Vasic, B. V. (2015, Mar. 1-3). Efficient FPGA-based Architectures of Finite Alphabet Iterative Decoders for Flash Memories. In Non-volatile Memories Workshop, San Diego, CA , 1-2. Vasic, B. V., Ivanis, P., Declercq, D., LeTrung, K., & Dupraz, E. (2015, Sept. 1-2). Iterative Decoders with Deliberate Message Flips. In i-RISC Workshop: When Boole Meets Shannon, Cork, Ireland , 1. Vasic, B. V., Khatami, M., Bahrami, M., Nakamura, Y., Okamoto, Y., Kanai, Y., & Barry, J. R. (2015, August). Optimization of Bit Geometry and Multi-Reader Geometry For TDMR. In The Magnetic Recording Conference (TMRC), Minneapolis, MN, USA . Vasic, B., Brkic, S., & Ivanis, P. (2015, Oct. 14-17). Low Complexity Memory Architectures Based on LDPC Codes: Benefits and Disadvantages. In 12th Int. Conf. on Telecommun. in Modern Satellite, Cable and Broadcasting Services (TELSIKS 2015), Nis, Serbia , 11-18. Vasic, B., Ivanis, P., Brkic, S., & Ravanmehr, V. (2015, Feb. 1-6). Fault-Resilient Decoders and Memories made of Unreliable Components. In Information Theory and Applications Workshop (ITA 2015), San Diego, CA, , 136-142. Brkic, S., Ivanis, P., & Vasic, B. (2014, June 29-July 4). Analysis of one-step majority logic decoding under correlated data-dependent gate failures. In in Proc. IEEE Int. Symp. Inf. Theory , 2599-2603. Brkic, S., Ivanis, P., Djordjevic, G., & Vasic, B. (2014, Spring). Symbolic Analysis of Faulty Logic Circuits in the Presence of Correlated Gate Failures. In Telecommunication Forum (TELFOR 2014) , 369-372. Dupraz, E., Declercq, D., Vasic, B., & Savin, V. (2014, August). Finite Alphabet Iterative Decoders Robust to Faulty Hardware: Analysis and Selection. In 8th Int. Symp. on Turbo Codes and Iterative Inform. Process. (ISTC) , 1-10. Khatami, M., & Vasic, B. (2014, Jun. 10--14). Constrained coding and detection for TDMR using generalized belief propagation. In Proc. IEEE Int. Comm. Conf. .
Khatami, M., Ravanmehr, V., & Vasic, B. (2014, June 29-July 4). GBP-based detection and symmetric information rate for rectangular-grain TDMR model. In in Proc. IEEE Int. Symp. Inf. Theory , 1-5. Planjery, S., Declrecq, D., Diouf, M., & Vasic, B. (2014, Aug.). On the guaranteed error-correction of decimation-enhanced Iterative decoding for column-weight-three codes. In 8th Int. Symp. on Turbo Codes and Iterative Inform. Process. (ISTC) , 1-5. Rasheed, O., Brkic, S., Ivanis, P., & Vasic, B. (2014, November). Performance Analysis of Faulty Gallager-B Decoding of QC-LDPC Codes. In Telecommunication Forum (TELFOR 2014) , 6, 7-11. Ravanmehr, V., Declercq, D., & Vasic, B. (2014, Feb. 9--14). Check-hybrid GLDPC codes Without Small Trapping Sets. In Proc. Inf. Theory and Applications . Ravanmehr, V., Declercq, D., & Vasic, B. (2014, June 29-July 4). Check-hybrid GLDPC Codes: Systematic Elimination of Trapping Sets by Super Checks. In in Proc. IEEE Int. Symp. Inf. Theory , 1-5. V., I., Dupraz, E., Declercq, D., & Vasic, B. (2014). Memory Efficient APP Decoding of LDPC Codes. In ICT Forum 2014 . V., I., Dupraz, E., Declercq, D., & Vasic, B. (2014, June 16-17). Memory Efficient APP Decoding of LDPC Codes. In National Conference on Information Theory and Complex Systems (TINKOS 2014) . Vasic, B., & Ivanis, . (2014, June 16-17). Fault-Tolerant Decoders. In National Conference on Information Theory and Complex Systems (TINKOS 2014) . Vasic, B., & Ivanis, . (2014, June 16-17). Reliable Memories Built from Unreliable Components: Theory and Connections with Codes on Graphs. In National Conference on Information Theory and Complex Systems (TINKOS 2014) . Vasic, B., & Nguyen, D. V. (2014, July 22--25). Failure analysis of two-bit flipping decoding algorithms (invited paper). In Proc. Signal Processing and Communications (SPCOM 2014) , 1-5. Vasic, B., Chilappagari, S. K., Sankaranarayanan, S., & Radhakrishnan, R. (2014, Feb.). Failures of the Gallager B decoder: analysis and applications. In Proc. 2nd Inform. Theory and Applicat. Workshop . Vasic, B., Khatami, S. M., Okamoto, Y., Nakamura, Y., Kanai, Y., Barry, J. R., McLaughlin, S. W., & Sadeghian, E. B. (2014, August 11--13). A Study of TDMR Signal-Processing Oportunities based on Quasi-Micromagnetic Simulations (invited talk). In Proc. The Magnetic Recording Conference (TMRC) , 1-5. Vasic, B., Planjery, S., & Declercq, D. (2014, Mar. 9-11). Low-complexity Multi-Bit Iterative Decoders for Non-Volatile Memory Channels. In Non-volatile Memories Workshop , 1-2. Alfowzan, M., Anguita, J., & Vasic, B. (2013, Dec. 9--13). Joint detection of multiple orbital angular momentum optical modes. In Proc. IEEE Global Telecommun. Conf. , 1-6. Brkic, S., Ivanis, P., Djordjevic, G., & Vasic, B. (2013, Oct. 16--19). Taylor-Kuznetsov fault-tolerant memories: a survey and results under correlated gate failures. In Proc. 10th Int. Conf. on Telecommun. in Modern Satellite, Cable and Broadcasting Services (TELSIKS 2013) , 455- 461. Cai, F., Zhang, X., Declercq, D., Vasic, B., Nguyen, D. V., & Planjery, S. K. (2013, May 19--23). Low-Complexity Finite Alphabet Iterative Decoders for LDPC Codes. In Proc. IEEE Int. Symp. on Circuits and Systems , 1332-1335. Danjean, L., Vasic, B., Marcellin, M. K., & Declercq, D. (2013, Oct. 21--24). Low-Complexity Iterative Reconstruction Algorithms in Compressed Sensing. In Proc. 49th Int. Telemetering Conf. .
Khatami, M., & Vasic, B. (2013, Oct. 21--24). Combined modulation and error correction decoder using generalized belief propagation. In Proc. 49th Int. Telemetering Conf. .
Khatami, S. M., & Vasic, B. (2013, Jan. 14--18). Generalized Belief Propagation Detector for TDMR Microcell Model. In Proc. MMM/Intermag Conf. .
Khatami, S. M., & Vasic, B. (2013, Jan. 28--31). Detection for Two-Dimensional Magnetic Recording Systems. In Proc. 2013 Int. Conf. on Computing, Networking and Commun. (ICNC 2013) , 535-539. Khatami, S. M., Danjean, L., Nguyen, D. V., & Vasic, B. (2013, Feb. 10--15). An Ef?cient Exhaustive Low-Weight Codeword Search for Structured LDPC Codes. In Proc. Inform. Theory and Applications Workshop . Vasic, B., & Vasic, B. (2013, Jun. 9--13). Blind QIM-LDPC Watermarking of 3D-Meshes. In Proc. IEEE Int. Conf. on Commun., Workshop on Information Security over Noisy and Lossy Communication Systems , 702--706. Anguita, J. A., Alfowzan, M., & Vasic, B. (2012, May 14--16). Free-Space Optical Communication using Orthogonal Optical Angular Momentum Modes. In Commun. Theory Workshop . Declercq, D., Li, E., Vasic, B., & Planjery, S. K. (2012, Sep. 3--7). Approaching maximum likelihood decoding of finite length LDPC codes via FAID diversity. In IEEE Inform. Theory Workshop , 487-491. Declercq, D., Vasic, B., Planjery, S. K., & Li, E. (2012, Feb. 5--10). Finite alphabet iterative decoders approaching maximum likelihood performance on the Binary Symmetric Channel. In Proc. Inform. Theory and Applications Workshop , 23--32. Djordjevic, G. T., Djordjevic, I. B., & Vasic, B. (2012, Jun.). Bit error rate performance of LDPC-coded MPSK signal detection over extended generalized k fading channels. In Proc. 56th Conf. on Electron., Telecommun., Comput., Automation and Nucl. Eng. , TE1.1-1-4. Nguyen, D. V., Vasic, B., & Marcellin, M. W. (2012, Jul. 1--6). Selecting two-bit bit flipping algorithms for collective error correction. In Proc. IEEE Int. Symp. Theory , 2881--2885. Planjery, S. K., Vasic, B., & Declercq, D. (2012, Jul. 1--6). Enhancing the error correction of finite alphabet iterative decoders via adaptive decimation. In Proc. IEEE Int. Symp. Theory , 2876--2880. Ravanmehr, V., & Vasic, B. (2012, May 9--12). Quasi-cyclic codes exhibiting the gene regulatory network of the cell cycle. Ravanmehr, V., Danjean, L., Vasic, B., & Declercq, D. (2012, Aug. 27--31). Signal Recovery Performance of the Interval-Passing Algorithm. Vasic, B., & Vasic, B. (2012, Oct. 22--25). A runlength coded LDPC scheme for insertion/deletion correction in multimedia watermarking. In Proc. 48th Int. Telemetering Conf. , XLVIII, 867-876. Danjean, L., Declercq, D., Planjery, S. K., & Vasic, B. (2011, Oct. 16--20). On the Selection of Finite Alphabet Iterative Decoders for LDPC codes on the BSC. In Proc. IEEE Inform. Theory Workshop , 345-349. Danjean, L., Declercq, D., Planjery, S., & Vasic, B. (2011, Sep. 5--8). Trapping Sets bruites pour la selection des decodeurs multi-niveaux des codes LDPC. In Proc. XXXIIIe Colloque GRETSI . Danjean, L., Ravanmehr, V., Declercq, D., & Vasic, B. (2011, Nov. 22--24). Iterative Reconstruction Algorithms in Compressed Sensing. In Proc. 19th Telecommun. Forum , 537--541. Djordjevic, I. B., Anguita, J., & Vasic, B. (2011, Aug. 24--25). On the LDPC-coded OAM modulation for communication over atmospheric turbulence channels. In Proc. SPIE Free-Space and Atmospheric Laser Commun. XI . Djordjevic, I. B., Anguita, J., & Vasic, B. (2011, Dec. 5--9). Energy-efficient free-space optical communication by coded OAM modulation. In Proc. IEEE Global Telecommun. Conf. .
Djuric, N., Senk, V., & Vasic, B. (2011, Oct. 5--8). MAP Decoding of MTR codes in multi-head magnetic recording systems. In Proc. 11th Int. Conf. on Telecommun. in Modern Satellite, Cable, and Broadcasting Services , 164--167. Krishnan, A. R., & Vasic, B. (2011, Dec. 5--9). Coding for correcting insertions and deletions in bit-patterned media recording. In Proc. IEEE Global Telecommun. Conf. .
Krishnan, A. R., Sankararaman, S., & Vasic, B. (2011, Oct. 5--8). Graph-Based Iterative Reconstruction of Sparse Signals for Compressed Sensing. In Proc. 10th Int. Conf. on Telecommun. in Modern Satellite, Cable and Broadcasting Services (TELSIKS 2011) , 133-137. Nguyen, D. V., Marcellin, M. W., & Vasic, B. (2011, Jul. 31--Aug. 5). Two-bit bit flipping decoding of LDPC codes. In Proc. IEEE Int. Symp. on Inform. Theory , 1995--1999. Nguyen, D. V., Vasic, B., & Marcellin, M. W. (2011, Oct. 24--27). Methods of searching for trapping sets of quasi-cylic LDPC codes and their applications in code construction. In Proc. 47th Int. Telemetering Conf. , 1--10. Planjery, S. K., Vasic, B., & Declercq, D. (2011, Jul. 31--Aug. 5). Decimation-enhanced finite alphabet iterative decoders for LDPC codes on the BSC. In Proc. IEEE Int. Symp. on Inform. Theory , 2383--2387. Ravanmehr, V., Danjean, L., Declercq, D., & Vasic, B. (2011, Oct. 26--29). On Iterative Compressed Sensing Reconstruction of Sparse Non-negative Vectors. In Proc. 4th Int. Symp. on Appl. Sci. in Biomedical and Commun. Technologies . Vasic, B., & Djuric, N. (2011, Jun.). The state of the art and future directions in constrained multi track code research for magnetic recording systems. In Proc. 55th Conf. on Electron., Telecommun., Comput., Automation and Nucl. Eng. , TE1.1-1-4. Vasic, B., Ravanmehr, V., & Galbraith, D. W. (2011, Feb. 6--11). Analysis and synthesis of Boolean gene regulatory networks. In Proc. Inform. Theory and Applicat. Workshop . Chilappagari, S. K., Chertkov, M., & Vasic, B. (2010, Jun. 13--18). Worst configurations (instantons) for compressed sensing over reals: a channel coding approach. In Proc. IEEE Int. Symp. on Inform. Theory , 1978--1982. Danjean, L., Declercq, D., Planjery, S. K., & Vasic, B. (2010, Oct. 13--15). Decodeurs multi-niveaux pour le decodage quasi-optimal des codes LDPC. In Proc. Manifestation des JEunes Chercheurs en Sci. et Technologies de l'Inform. et de la Commun. , 1--4. Declercq, D., Danjean, L., Li, E., Planjery, S. K., & Vasic, B. (2010, Sep. 6--10). Finite Alphabet Iterative Decoding (FAID) of the (155,64,20) Tanner Code. In Proc. 6th Int. Symp. on Turbo-Codes and Iterative Inform. Process. , 11--15. Nguyen, D. V., Leslie, M., & Vasic, B. (2010, Seo. 29, Oct. 1). Short Column-Weight-Three LDPC Codes without Small Trapping Sets. In Proc. 48th Allerton Conf. on Commun., Control, and Computing , 172--179. Nguyen, D. V., Leslie, M., & Vasic, B. (2010, Sep. 29--Oct. 1). Short column-weight-three LDPC codes without small trapping sets. In Proc. 48th Allerton Conf. on Commun., Control, and Computing , 172--179. Nguyen, D. V., Vasic, B., Marcellin, M. W., & Chilappagari, S. K. (2010, Aug. 30--Sep. 3). Structured LDPC codes from permutation matrices free of small trapping sets. In Proc. IEEE Inform. Theory Workshop , 1--5. Pan, L., Ryan, W. E., Wood, R., Kavcic, A., & Vasic, B. (2010, Dec. 6--10). Serial turbo coding performance for rectangular-grain TDMR models. In Proc. IEEE Global Telecommun. Conf. , 1--5. Planjery, S. K., Chilappagari, S. K., Vasic, B., Declercq, D., & Danjean, L. (2010, Jan. 31--Feb. 5). Iterative decoding beyound belief propagation. In Proc. Inform. Theory and Applicat. Workshop , 41--43. Planjery, S. K., Declercq, D., Chilappagari, S. K., & Vasic, B. (2010, Jun. 13--18). Multilevel decoders surpassing belief propagation on the binary symmetric channel. In Proc. IEEE Int. Symp. on Inform. Theory , 769--773. Planjery, S. K., Vasic, B., Declercq, D., & Marcellin, M. W. (2010, Oct.). Low-complexity finite precision decoders for low-density parity-check codes. In Proc. 46th Int. Telemetering Conf. .
Vasic, B. (2010, Jun.). Information theory methods for analysis of gene regulatory networks. In Proc. 54th Conf. on Electron., Telecommun., Comput., Automation and Nucl. Eng. , 1--4. Vasic, B., Krishnan, A. R., Nguyen, D. V., Planjery, S. K., & Declercq, D. (2010, Aug. 16--18). Iterative decoding beyond belief propagation and LDPC codes with guaranteed low error floors. In Proc. The 21st Magnetic Recording Conf. , 47--48. Chilappagari, S. K., Declercq, D., Sassatelli, L., & Vasic, B. (2009, Jun. 28--Jul. 3). Two-bit message passing decoders for LDPC codes over the binary symmetric channel. In Proc. IEEE Int. Symp. on Inform. Theory , 2156--2160. Chilappagari, S. K., Vasic, B., & Marcellin, M. W. (2009, Feb. 8--13). Guaranteed error correction capability of codes on graphs. In Proc. Inform. Theory and Applicat. Workshop , 50--55. Chilappagari, S. K., Vasic, B., Stepanov, M., & Chertkov, M. (2009, Jun. 28--Jul. 3). Analysis of error floors of LDPC codes under LP decoding over the BSC. In Proc. IEEE Int. Symp. on Inform. Theory , 379--383. Krishnan, A. R., Radhakrishnan, R., & Vasic, B. (2009, Nov. 30--Dec. 4). LDPC decoding strategies for two-dimensional magnetic recording. In Proc. IEEE Global Telecommun. Conf. , 1--5. Radhakrishnan, R., & Vasic, B. (2009, Jun. 14--18). Joint message-passing symbol-decoding of LDPC coded signals over partial-response channels. In Proc. IEEE Int. Conf. on Commun. , 1--5. Radhakrishnan, R., Krishnan, A. R., & Vasic, B. (2009, Oct. 7--9). Error and erasure rates for two-dimensional magnetic recording systems. In Proc. 9th Int. Conf. on Telecommun. in Modern Satellite, Cable, and Broadcasting Services , 406--409. Vasic, B., Chilappagari, S. K., Nguyen, D. V., & Planjery, S. K. (2009, Sep. 30--Oct. 2). Trapping set ontology. In Proc. 47th Allerton Conf. on Commun., Control, and Computing , 1--7. Chilappagari, S. K., Krishnan, A. R., & Vasic, B. (2008, May 5--9). LDPC codes which can correct three errors under iterative decoding. In Proc. IEEE Inform. Theory Workshop , 406--410. Chilappagari, S. K., Nguyen, D. V., Vasic, B., & Marcellin, M. W. (2008, Jul. 6--11). On the guaranteed error correction capability of LDPC codes. In Proc. IEEE Int. Symp. on Inform. Theory , 434--438. Chilappagari, S. K., Nguyen, D. V., Vasic, B., & Marcellin, M. W. (2008, Oct.). On guaranteed error correction capability of GLDPC codes. In Proc. 44th Int. Telemetering Conf. .
Chilappagari, S. K., Nguyen, D. V., Vasic, B., & Marcellin, M. W. (2008, Sep. 23--26). Girth of the Tanner graph and error correction capability of LDPC codes. In Proc. 46th Allerton Conf. on Commun., Control, and Computing . Chilappagari, S. K., Vasic, B., & Marcellin, M. (2008, Jan. 27--Feb. 1). Can the storage capacity of memories built from unreliable components be determined?. In Proc. Inform. Theory and Applicat. Workshop , 41--43. Chilappagari, S. K., & Vasic, B. (2007, Sep. 2--6). Fault tolerant memories based on expander graphs. In Proc. IEEE Inform. Theory Workshop , 126--131. Djordjevic, G. T., Djordjevic, I. B., Ivanis, P. N., & Vasic, B. (2007, Jun.). Irregular LDPC codes for transmission over non-regenerative non-linear satellite system in the presence of co-channel interferences. In Proc. 51st Conf. on Electron., Telecommun., Comput., Automation and Nucl. Eng. .
Djordjevic, I. B., Denic, S., Anguita, J., Vasic, B., & Neifeld, M. A. (2007, Nov. 26--30). LDPC-coded MIMO optical communication over the atmospheric turbulence channel. In Proc. IEEE Global Telecommun. Conf. , 2220--2225. Djordjevic, I. B., Vasic, B., & Neifeld, M. A. (2007, Mar.25--29). Power efficient LDPC-coded modulation for free-space optical communication over the atmospheric turbulence channel. In Proc. Conf. on Optical Fiber Commun. and the Nat. Fiber Optic Engineers Conf. , 1--3. Ivkovic, M., Chilappagari, S. K., & Vasic, B. (2007, Jun.24--29). Designing LDPC Codes without small trapping sets by using Tanner Graph Covers. In Proc. IEEE Int. Symp. on Inform. Theory , 2266--2270. Ivkovic, M., Djordjevic, I., Rajkovic, P., & Vasic, B. (2007, Jun.24--28). Modeling errors in long-haul optical fiber transmission systems by using instantons and edgeworth expansion. In Proc. IEEE Int. Conf. on Commun. , 2313--2317. Pu, L., Marcellin, M. W., Djordjevic, I., Vasic, B., & Bilgin, A. (2007, Jan). Joint source-channel rate allocation in parallel channels. In Proc. Visual Commun. and Image Process. , 6508. Radhakrishnan, R., Sankaranarayanan, S., & Vasic, B. (2007, Jun.24--29). Analytical performance of one-step majority logic decoding of regular LDPC codes. In Proc. IEEE Int. Symp. on Inform. Theory , 231--235. Vasic, B., & Chilappagari, S. K. (2007, Jun.). Reliable memories built from unreliable components. In Proc. 51st Conf. on Electron., Telecommun., Comput., Automation and Nucl. Eng. .
Alic, N., Djordjevic, I., Vasic, B., Papen, G., & Radic, S. (2006, Sep.24--28). Experimental determination of achievable information rates for single-channel NRZ IM/DD high-speed optical transmission. In Proc. European Conf. on Optical Commun. .
Anguita, J. A., Neifeld, M. A., & Vasic, B. (2006, Jan.). Multi-beam free-space optical link using space-time coding. In Proc. IEEE Int. Waveform Diversity and Design Conf. .
Anguita, J. A., Neifeld, M. A., & Vasic, B. V. (2006, Aug.). Multi-beam space-time coded systems for optical atmospheric channels. In Proc. Free-Space Laser Commun. VI , 6304. Batshon, H. G., Djordjevic, I. B., & Vasic, B. (2006, Oct.). An efficient modulation technique for suppressing intrachannel FWM in 40Gb/s optical transmission systems. In Proc. Optical Transmission Systems and Equipment for Networking V , 6388. Chilappagari, S. K., Ivkovic, M., & Vasic, B. (2006, Jul.9--14). Analysis of one step majority logic decoders constructed from faulty gates. In Proc. IEEE Int. Symp. on Inform. Theory , 469--473. Chilappagari, S. K., Sankaranarayanan, S., & Vasic, B. (2006, Jun.). Error floors of LDPC codes on the binary symmetric channel. In Proc. IEEE Int. Conf. on Commun. , 3, 1089--1094. Djordjevic, G. T., Djordjevic, I. B., Ivanis, P. N., & Vasic, B. V. (2006, Nov.27--Dec.1). Performance analysis of LDPC-coded PSK signal transmission over non-linear satellite channel in the presence of multiple interferences. In Proc. IEEE Global Telecommun. Conf. , 1--6. Djordjevic, I. B., & Vasic, B. (2006). Forward error correction for advanced optical transmission. In Proc. Optical Transmission Systems and Equipment for Networking V , 6388. Djordjevic, I. B., & Vasic, B. (2006, Jun.). Multilevel coding for spectrally efficient noncoherent optical transmission. In Proc. IEEE Int. Conf. on Commun. , 1225--1230. Djordjevic, I. B., & Vasic, B. (2006, Oct.). Forward error correction for advanced optical transmission. In Proc. Optical Transmission Systems and Equipment for Networking V , 6388. Djordjevic, I. B., & Vasic, B. (2006, Oct.). Suppression of intrachannel nonlinear effects in high-speed WDM systems. In Proc. Optical Transmission Systems and Equipment for Networking V , 6388. Djordjevic, I. B., Vasic, B., & Neifeld, M. A. (2006, May 21--26). LDPC coded orthogonal frequency division multiplexing over the atmospheric turbulence channel. In Proc. Conf. on Lasers and Electro-Optics and Quantum Electron. and Laser Sci. Conf. , 1--2. Djordjevic, I., & Vasic, B. (2006, Sep.24--28). Adaptive BCJR equalizer in suppression of intrachannel nonlinearities. In Proc. European Conf. on Optical Commun. .
Ivkovic, M., Chilappagari, S. K., & Vasic, B. (2006, Nov.27--Dec.1). Construction of memory circuits using unreliable components based on low-density parity-check codes. In Proc. IEEE Global Telecommun. Conf. , 1--5. Ivkovic, M., Djordjevic, I., & Vasic, B. (2006, Jul.9--14). Calculation of achievable information rates of long-haul optical transmission systems using instanton approach. In Proc. IEEE Int. Symp. on Inform. Theory , 1287--1291. Ivkovic, M., Djordjevic, I., & Vasic, B. (2006, Nov.27--Dec.1). A soft decision decoding scheme for long-haul optical transmission systems based on the instanton approach. In Proc. IEEE Global Telecommun. Conf. , 1--5. Ivkovic, M., Djordjevic, I., & Vasic, B. (2006, Oct.). Hard decision error correcting scheme based on LDPC codes for long-haul optical transmission. In Proc. Optical Transmission Systems and Equipment for Networking V , 6388. Ramasubramanian, S., Djordjevic, I. B., & Vasic, B. (2006, Jun.). Finite shift-invariant optical orthogonal codes for quasi-synchronous communication systems. In Proc. IEEE Int. Conf. on Commun. , 6, 2847--2852. Vasic, B., & Djordjevic, I. B. (2006, Mar.). Low-density parity-check codes for 40 Gb/s transmission. In Proc. Optical Fiber Commun. Conf. and the Nat. Fiber Optic Engineers Conf. .
Vasic, B., Djordjevic, I. B., & Rao, V. S. (2006, Mar.). Suppression of intrachannel nonlinearities using BCJR algorithm and iterative decoding. In Proc. Optical Fiber Commun. Conf. and the Nat. Fiber Optic Engineers Conf. .
Anguita, J. A., Neifeld, M. A., Djordjevic, I. B., & Vasic, B. (2005, Oct.). Information capacity and error-correction codes for the free-space optical atmospheric communication channel. In Proc. Frontiers in Optics . Chernyak, V., Chertkov, M., Stepanov, M., & Vasic, B. (2005, Jan.). Local theory of BER for LDPC codes: instantons on a tree. In Los Alamos Workshop on Applications of Statistical Physics to Coding Theory . Chilappagari, S. K., Milenkovic, O., & Vasic, B. (2005). DNA sequence analysis using fractal grammars and integer wavelet transforms. In Proc. IEEE Int. Workshop on Genomic Signal Process. and Statistics , 6--7. Djordjevic, I. B., & Vasic, B. (2005, Sep. 28--30). Constrained codes for suppression of intrachannel nonlinear effects in high-speed optical transmission. In Proc. 7th Int. Conf. on Telecommun. in Modern Satellite, Cable and Broadcasting Services , 1. Djordjevic, I. B., & Vasic, B. (2005, Sep.). Performance assessment of optical CDMA systems based on wavelength-time codes from balanced incomplete block designs. In Proc. Int. Conf. on Telecommun. in Modern Satellite, Cable and Broadcasting Services , 295--298. Djordjevic, I. B., & Vasic, B. V. (2005, Mar. 6--11). A ternary modulation code for suppression of intrachannel nonlinear effects in high-speed optical transmission. In Technical Digest of Optical Fiber Commun. Conf. , 4. Djordjevic, I. B., & Vasic, B. V. (2005, Oct.). Nonbinary LDPC codes for optical communications. In Proc. Frontiers in Optics . Djordjevic, I. B., & Vasic, B. V. (2005, Oct.). Spectrally efficient noncoherent optical communications. In Proc. Frontiers in Optics . Djordjevic, I. B., Ivkovic, M., Vasic, B. V., & Gabitov, I. (2005, May). Achievable information rates for high-speed long-haul optical transmission. In Proc. Quantum Electron. and Laser Sci. Conf. , 3, 1711--1713. Djordjevic, I. B., Milenkovic, O., & Vasic, B. V. (2005, Mar. 6--11). Generalized low-density parity-check codes for long-haul high-speed optical communications. In Technical Digest of Optical Fiber Commun. Conf. , 4. Djordjevic, I., & Vasic, B. (2005, Sep. 25--29). Combined constrained and error control coding in suppression of intrachannel fiber nonlinearities. In Proc. 31st European Conf. on Optical Commun. , 127--128. Milenkovic, O., Kashyap, N., & Vasic, B. (2005, Dec. 12--15). On DNA computers controlling gene expression levels. In Proc. 44th IEEE Conf. on Decision and Control and European Control Conf. , 1770--1775. Pu, L., Marcellin, M. W., Vasic, B., & Bilgin, A. (2005, Sep. 11--14). Unequal error protection and progressive decoding for JPEG2000. In Proc. IEEE Int. Conf. on Image Process. , 3, III -- 896-9. Sandberg, S., Frein, C., Leblanc, J. P., Vasic, B., & Fagan, A. D. (2005, Jul.). Performance of LDPC coded spread OFDM with clipping. In Proc. 8th Int. Symp. on Commun. Theory and Applications , 156--161. Sandberg, S., Leblanc, J. P., & Vasic, B. (2005, Aug.). Receiver-oriented clipping-effect mitigation in OFDM-A worthy approach. In Proc. 10th Int. OFDM-Workshop . Stepanov, M., Chernyak, V., Chertkov, M., & Vasic, B. (2005, Jan.). Instanton approach for codes without/with loops. In Los Alamos Workshop on Applications of Statistical Physics to Coding Theory . Vasic, B., & Djordjevic, I. B. (2005, Oct.). Advanced coding techniques: theory and practice. In Proc. Optical Transmission Syst. and Equipment for WDM Networking IV , 6012. Vasic, B., Denic, S., & Radhakrishnan, R. (2005, Mar.). Spectrum shaping constrained codes for recording. In Proc. IEEE Int. Conf. on Acoustics, Speech, and Signal Process. , 5, 741--745. Chernyak, V., Chertkov, M., Stepanov, M., & Vasic, B. (2004, Oct. 24--29). Instanton method of post-error-correction analytical evaluation. In Proc. IEEE Inform. Theory Workshop , 220--224. Djordjevic, I. B., & Vasic, B. (2004, May). Approaching Shannon's capacity limits of fiber optics communications channels using short LDPC codes. In Proc. Conf. on Lasers and Electro-Optics , 1. Djordjevic, I. B., Rao, V. S., & Vasic, B. (2004, Sep.). Suppression of intrachannel nonlinear effects in high-speed optical transmission using modulation codes. In Proc. 30th European Conf. on Optical Commun. .
Djordjevic, I. B., Vasic, B. V., & Sankaranarayanan, S. (2004, Feb.). Regular and irregular low-density parity-check codes for ultra-long haul high-speed optical communications: construction and performance analysis. In Proc. Optical Fiber Commun. Conf. , 1. Kumar, V., Milenkovic, O., & Vasic, B. (2004, Jun.27--Jul.2). Structured LDPC codes over GF(2m) and companion matrix based decoding. In Proc. IEEE Int. Symp. on Inform. Theory . Milenkovic, O., & Vasic, B. (2004, Mar.). On the information processing mechanism of DNA and efficient DNA storage. In Proc. DIMACS Workgroup on theoretical advances in inform. recording . Milenkovic, O., & Vasic, B. (2004, Oct.). Information theory and coding problems in genetics. In Proc. IEEE Information Theory Workshop , 60--65. Milenkovic, O., Kumar, V., & Vasic, B. (2004, May). Analysis of companion matrix based iterative decoding of LDPC codes over the field GF($q^m$). In Proc. Commun. Theory Workshop . Pu, L., Wu, Z., Bilgin, A., Marcellin, M. W., & Vasic, B. (2004, Oct. 18--21). LDPC-based iterative joint source/channel decoding scheme for JPEG2000. In Proc. 40th Int. Telemetering Conf. , 636--644. Rao, V. S., Djordjevic, I. B., & Vasic, B. (2004, Jul.). Application of modulation codes to ghost pulse suppression. In Proc. IEEE/LEOS Workshop on Advanced Modulation Formats , 29--30. Sankaranarayanan, S., & Vasic, B. (2004, Sep. 29--Oct. 1). Analysis of iterative erasure-decoding of linear block codes: A parity-check orthogonalization approach. In Proc. 42th Allerton Conf. on Commun., Control, and Computing . Djordjevic, I. B., Vasic, B., & Rorison, J. (2003, Oct.). Multiweight unipolar codes for multimedia optical CDMA applications based on pairwise balanced designs. In Proc. 6th Int. Conf. on Telecommun. in Modern Satellite, Cable and Broadcasting Services , 2, 425--428. Djordjevic, I., & Vasic, B. (2003, Oct.). Affine geometry LDPC codes in ultra-long haul optical transmission systems. In Proc. 6th Int. Conf. on Telecommun. in Modern Satellite, Cable and Broadcasting Services , 1, 75--78. Djordjevic, I., Vasic, B., & Kostuk, R. (2003, Mar. 23--28). Structured LDPC codes for high-speed long-haul optical communications. In Optical Fiber Commun. Conf. , 1, 393--394. Djordjevic, I., Vasic, B., & Sankaranarayanan, S. (2003). Finite geometry iteratively decodable block codes for WDM high-speed long-haul transmission. In Proc. Frontiers in Optics/Laser Science XIX Conf. .
Djordjevic, I., Vasic, B., & Sankaranarayanan, S. (2003, Sep.). Projective plane iteratively decodable codes for WDM high-speed long-haul transmission. In Proc. European Conf. on Optical Commun. .
Duric, N., Despotovic, M., & Vasic, B. (2003). Low-density parity-check codes and iterative decoding for two-track two-head E2PR4 channel. In Proc. 6th Int. Conf. on Telecommun. in Modern Satellite, Cable and Broadcasting Services , 2, 421--424. Milenkovic, O., & Vasic, B. (2003). Asymptotic analysis of A* maximum-likelihood decoding with reliability reordering. In Proc. IEEE Information Theory Workshop , 316--319. Milenkovic, O., Prakash, K., & Vasic, B. (2003, Oct. 1--3). Regular and irregular low density parity check codes for iterative decoding based on cycle-invariant difference sets. In Proc. 41st Allerton Conf. on Commun., Control, and Computing . Pu, L., Wu, Z., Bilgin, A., Marcellin, M. W., & Vasic, B. (2003, Nov.). Iterative joint source/channel decoding for JPEG2000. In Conf. Record of the Thirty-Seventh Asilomar Conf. on Signals, Syst. and Comput. , 2. Sankaranarayan, S., Vasic, B., & Kurtas, E. (2003, Mar. 28--Apr. 3). A systematic construction of capacity-achieving irregular low-density parity-check codes. In Proc. IEEE Int. Magnetics Conf. , DT--09. Sankaranarayanan, S., Kurtas, E., & Vasic, B. (2003, Jan.). Performance of low-density generator matrix codes on perpendicular recording channels. In Proc. IEEE North American Perpendicular Magnetic Recording Conf. .
Sankaranarayanan, S., Vasic, B., & Kurtas, E. M. (2003, Jun. 29--Jul. 4). A systematic construction of irregular low-density parity-check codes from combinatorial designs. In Proc. IEEE Int. Symp. on Inform. Theory , 1. Vasic, B., & Djordjevic, I. B. (2003, May). A forward error correction scheme for ultra long haul optical transmission systems based on low-density parity-check codes. In Proc. IEEE Int. Conf. on Commun. , 2. Vasic, B., & Djordjevic, I. B. (2003, Oct.). Quasicyclic low-density parity check codes. In Proc. 6th Int. Conf. on Telecommun. in Modern Satellite, Cable and Broadcasting Services , 2, 417--420. Vasic, B., & Pedagani, K. (2003, May). A runlength limited low-density parity-check coding scheme. In Proc. IEEE Int. Conf. on Commun. , 5. Vasic, B., Cvetkovic, A., Sankaranarayanan, S., & Marcellin, M. (2003, Jun.29--Jul.4). Adaptive error protection low-density parity-check codes for joint source-channel coding schemes. In Proc. IEEE Int. Symp. on Inform. Theory , 267. Vasic, B., Wu, Z., & Marcellin, M. (2003, Apr.). Robust image transmission with unequal error protection low-density parity-check codes. In Proc. Communication Theory Workshop . Djordjevic, I., & Vasic, B. (2002). Multipath interference influence on Raman assisted transmission systems performance degradation. In Proc. ICEST , 511--514. Djordjevic, I., & Vasic, B. (2002, Oct.). Direct detection receiver decision statistics in optically amplified communication systems. In Proc. ICEST , 433--436. Vasic, B. (2002). High-rate low-density parity check codes based on anti-Pasch affine geometries. In Proc. IEEE Int. Conf. on Commun. , 3, 1332--1336. Vasic, B. (2002, Jun.30--Jul.5). Combinatorial constructions of low-density parity check codes for iterative decoding. In Proc. IEEE Int. Symp. on Inform. Theory , 312. Vasic, B. (2002, Oct.). A class of codes with orthogonal parity checks and its application partial response channels with iterative decoding. In Proc. 40th Allerton Conf. on Commun., Control, and Computing . Vasic, B., & Djordjevic, I. B. (2002, Sep. 8--12). LDPC codes for long haul optical communications. In Proc. 28th European Conf. on Optical Commun. , 3, 1--2. Vasic, B., & Leblanc, J. P. (2002, Oct.4--7). Reducing peak-to-average ratios using OFDM necklaces. In Proc. 5th Nordic Signal Process. Symp. .
Vasic, B., Kurtas, E. M., & Kuznetsov, A. V. (2002). Regular lattice LDPC codes in perpendicular magnetic recording. In Digest of Technical Papers IEEE Int. Magnetics Conf. .
Vasic, B., Kurtas, E., & Kuznetsov, A. (2002, Jan.). Kirkman systems and their application in perpendicular magnetic recording. In Proc. 1st North American Perpendicular Magnetic Recording Conf. .
Vasic, B., Kuznetsov, A., & Kurtas, E. (2002, Jun.30--Jul.5). Lattice low-density parity check codes and their application in partial response systems. In Proc. IEEE Int. Symp. on Inform. Theory , 453. Despotovic, M., & Vasic, B. (2001). Hard disk drive recording and data detection. In Proc. 5th IEEE Int. Conf. on Telecommun., Cable and Broadcasting Services , 2, 555--561. Vasic, B. (2001). Structured iteratively decodable codes based on Steiner systems and their application in magnetic recording. In Proc. IEEE Global Telecommun. Conf. , 5, 2954--2960. Vasic, B. (2001, Jun. 11--14). A graph based construction of high-rate soft decodable codes for partial response channels. In Proc. IEEE Int. Conf. on Commun. , 9, 2716--2720. Vasic, B. (2001, Sep. 19--21). Error-event detection codes for partial response channels. In Proc. 5th IEEE Int. Conf. on Telecommun., Cable and Broadcasting Services , 2, 562--566. Vasic, B., & Neifeld, M. (2001, Sep.). Structured iteratively decodable codes and their application in optical transmission systems. In Proc. Opto-Southwest, Southwest Regional Meeting on Optoelectronics, Photonics and Imaging . Sonntag, J., & Vasic, B. (2000, Aug.). Implementation and bench characterization of a read channel chip with parity check postprocessor. In Digests of The Magnetic Recording Conf. , B1+. Mclaughlin, S. W., Lee, P., Cloke, R., & Vasic, B. (1998, Aug.16--21). Capacity, power spectral density, and codes for the one-pairs constraint. In Proc. IEEE Int. Symp. on Inform. Theory , 321+. Vasic, B., Mclaughlin, S., Djordjevic, I., & Djordjevic, G. (1998, May). Tradeoffs in binary and nonbinary optical recording. In Proc. Optical Data Storage Conf. , 40--41. Milenkovic, O., & Vasic, B. (1997, Jun. 29--Jul. 4). Power spectral density of multitrack (O,G/I) codes. In Proc. IEEE Int. Symp. on Inform. Theory , 142+. Milenkovic, O., Vasic, B., & Denic, S. (1997). Novel M-ary (d,k) codes. In Proc. 1997 Canadian Workshop on Inform. Theory . Vasic, B. V., Mclaughlin, S. W., & Milenkovic, O. (1997, Jun.29--Jul.4). Channel capacity of M-ary multitrack runlength limited channels. In Proc. IEEE Int. Symp. on Inform. Theory , 139+. Vasic, B., & Milenkovic, O. (1997, Jun. 9--11). Maximal information rates and spectra of multilayer optical recording codes. In Proc. IX Int. Symp. on Theoretical Electical Eng. .
Vasic, B., & Milenkovic, O. (1997, Jun.29--Jul.4). Cyclic two dimensional IT reducing codes. In Proc. IEEE Int. Symp. on Inform. Theory , 414. Vasic, B., & Milenkovic, O. (1997, Oct.). Orthogonal multitrack (d,k) signaling. In Proc. III Int. Conf. on Telecommun. in Modern Satellite, Cable and Broadcasting Services . Vasic, B., Djordjevic, I., & Djordjevic, G. (1997, Jun.). M-ary AWGN channel with (d, k, s) constraint. In Proc. XLI Conf. on Electron., Telecommun., Comput., Automation and Nucl. Eng. .
Vasic, B., Milenkovic, O., & Denic, S. (1997, Jun. 9--11). Coder and decoder construction for M-ary (d,k) constrained ETOM Systems. In Proc. IX Int. Symp. on Theoretical Electical Eng. .
Milenkovic, O., Vasic, B., & Denic, S. (1996, Jun.). A new method for power spectral density evaluation in multitrack recording systems. In Proc. XL Conf. on Electron., Telecommun., Comput., Automation and Nucl. Eng. .
Milenkovic, O., Vasic, B., & Denic, S. (1996, Nov.). Cyclic two dimensional codes for intertrack interference reduction. In Proc. IV Telecommun. Forum . Vasic, B. (1996, Jun. 24--26). The power spectral density of maximum entropy M-ary (d, k) codes. In Proc. 8th IEEE Signal Process. Workshop on Statistical Signal and Array Process. , 479--482. Vasic, B., Denic, S., & Milenkovic, O. (1996). Coder and decoder construction for M-ary (d,k) constrained ETOM Systems. In Proc. XL Conf. on Electron., Telecommun., Comput., Automation and Nucl. Eng. .
Vasic, B., Milenkovic, O., & Denic, S. (1996, Nov.). Model of the PR channel for magnetic recording with intertrack interference. In Proc. IV Telecommun. Forum . Peric, Z., & Vasic, B. (1995). The simulation of nonequiprobable signaling over Gaussian channel by using V.32 code. In Proc. XXXIX Conf. Conf. on Electron., Telecommun., Comput., Automation and Nucl. Eng. .
Vasic, B., & Milenkovic, O. (1995). Channel capacity and code construction for two track (0,G/I) constraint. In Proc. II Int. Conf. on Telecommun. in Modern Satellite, Cable and Broadcasting Services . Vasic, B., & Milenkovic, O. (1995). Maxentropic codes for multilayer optical recording. In Proc. Symp. of Inform. Technology and Applicat. .
Vasic, B., & Milenkovic, O. (1995). Scramblers for nonequiprobable symbols. In Proc. III Telecommunication Forum , 552--554. Vasic, B., & Milenkovic, O. (1995). Two track modulation code for PRML-IV system. In Proc. III Telecommun. Forum . Vasic, B., & Milenkovic, O. (1995, Dec.). Two dimensional codes for unequal track protection. In Proc. III Telecommun. Forum , 550--552. Vasic, B., & Milenkovic, O. (1995, Jun.). Approximation of the formula for power spectral density of sequences with high-order spectral zero at f=0. In Proc. XXXIX Conf. on Electron., Telecommun., Comput., Automation and Nucl. Eng. .
Vasic, B., & Peric, Z. (1995). Performances of nonequiprobable signaling over Gaussian channel. In Proc. II Int. Conf. on Telecommun. in Modern Satellite, Cable and Broadcasting Services . Vasic, B., Milenkovic, O., & Vasic, D. (1995). Channel Capacities and Spectra of Maxentropic (O,G/I) Matched-Spectral-Null Sequences. In Proc. Inform. Theory Workshop . Vasic, B., Milenkovic, O., & Vasic, D. (1995). Channel capacities and construction of encoders and sliding block decoders for the composite (0,G/I) constraint on two tracks. In Proc. II Int. Conf. on Telecommun. in Modern Satellite, Cable and Broadcasting Services , 335--338. Milenkovic, O., & Vasic, B. (1994). (0,G/I) constraint in PRML systems: graph model and channel capacity. In Proc. XXXVIII Conf. on Electron., Telecommun., Comput., Automation and Nucl. Eng. , 45--46. Vasic, B., Milenkovic, O., & Milacic, P. (1994). Channel capacities and spectra of composite (d,k) and N-RDSF=0 constraint. In Proc. II Telecommunication Forum , 557--562. Vasic, B. (1993). Iterative construction of M-RDS constrained graphs. In Proc. XXXVII Conf. on Electron., Telecommun., Comput., Automation and Nucl. Eng. , 239--246. Vasic, B., & Vasic, D. (1993, Nov.). The 100 percent efficient (1,3) RLL code with spectral nulls at: f=0,f=1/3, f=1/2 and f=2/3. In Proc. I Telecommunication Forum , 539--542. Vasic, B., & Vasic, D. (1993, Oct.). On codes generating pilot tracking tones. In Proc. I Int. Conf. on Telecommun. in Modern Satellite, Cable and Broadcasting Services , 74--83. Vasic, B., Stefanovic, M., Vasic, D., & Peric, Z. (1993, Sep.). Spectrum of prefix-synchronized RLL sequences. In Proc. XXXVII Conf. on Electron., Telecommun., Comput., Automation and Nucl. Eng. , 275--280. Stojanovic, N., & Vasic, B. (1991). Reduction of the redundancy of 1B2B line codes in optical transmission systems. In Proc. XXXV Conf. on Electron., Telecommun., Comput., Automation and Nucl. Eng. .
Vasic, B. (1991). Spectral analysis of the RLL codes given by FSSM. In Proc. XXXV Conf. on Electron., Telecommun., Comput., Automation and Nucl. Eng. , 49--56. Vasic, B., & Stefanovic, M. (1991, Mar.). Power spectral density of ternary codes. In Proc. XV Conf. on Inform. Technologies , 2. Vasic, B. V. (2018, April 18). Fault Tolerant Memories . Center for Risk and Reliability Workshop. 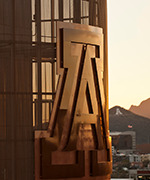 University of Arizona, Aerospace and Mechanical Engineering (AME) Department. Vasic, B. V., X, X., S, L., & S, B. (2018, August 25 - 29). Learning Error Correction Algorithms . US-Serbia and West Balkan Data Science Workshop. Vasic, B. V. (2018, April). Codelucida: from a successful France-USA academic collaboration to a rising Arizonian startup. France-USA Networking in Tucson: Academy & Industry. Organized by the Office for Science & Technology from the Embassy of France in USA, together with the Consulate of Mexico in Tucson. A meeting gathering French scientists and tech entrepreneurs in the Tucson area, together with US scientists collaborating with French researchers. Vasic, B. V. (2018, July 10). Can Machines Learn to Correct Errors in Communication Systems. Elektronski Fakultetu u Nisu. Vasic, B. V. (2018, June). Improving Convergence of Iterative Decoders Using Neural Networks. Universite de Cergy-Pontoise. Planjery, S. K., Chilappagari, S. K., Vasic, B., & Declercq, D. (2013). Low Complexity finite precision decoders and apparatus for LDPC codes. Vasic, B., & Declercq, D. (2012). A methodology for selecting multiple decoders for decoder diversity that improves the guaranteed error correction capability of low-density parity check codes. Nguyen, D. V., & Vasic, B. (2011). Multibit bit flipping decoding of LDPC codes. Nguyen, D. V., & Vasic, B. (2011). Structured LDPC codes from permutation matrices. Nguyen, D. V., & Vasic, B. (2010). Structured LDPC codes free of small trapping sets. Vasic, B., Krishnan, A. R., Galbraith, D., & Sweeney, M. (2010). Barcodes for DNA sequencing with guaranteed error correction capability. Ryan, W. E., Vasic, B., Han, Y., & Zhang, Y. (2008). Methods for concatenating error-correcting codes with an LDPC code to lower its error floor. Vasic, B., Kurtas, E., & Kuznetsov, A. (2008). System and method for iterative decoding of Reed-Muller codes. Vasic, B., Kurtas, E., & Kuznetsov, A. (2006). Method and coding apparatus for using low density parity check codes for data storage and data transmission. Vasic, B., Kurtas, E., & Kuznetsov, A. (2005). Method and apparatus for suppressing low frequency content in digital data. Vasic, B., Kurtas, E., & Kuznetsov, A. (2004). Method and decoding apparatus using linear code with parity check matrices composed from circulants. Vasic, B., Mueller, W., & Reish, R. (2001). Method for insuring uniqueness of custom audio CD. Vasic, B., Sonntag, J., & Lee, I. (2001). Iterative decoding based on dominant error events. Vasic, B., Sonntag, J., & Lee, I. (2001). Method and apparatus for extracting soft information from partial response channels. Vasic, B. (2000). Copy protection marks on a transparent layer of an optical disk indicating that the disk has been previously accessed. Vasic, B., Whitcher, T., Victora, R., & Tyan, T. C. (1999). Copy count protection structure for optical recording medium and method for same.